Joe Browns is a true lifestyle company, which was started in 1998 to offer something more exciting and more individual than the other clothing catalogues in the UK. 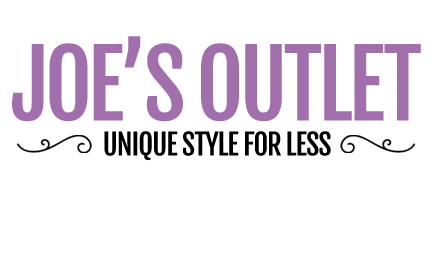 We offer stylish, laid back clothing for men and women plus original gifts and accessories that won’t be found on the High Street. Our ethos is that life should be about living for the moment, getting out there and enjoying yourself - and our clothes reflect that. We’re based in Leeds, West Yorkshire, where our head office, customer service department and warehouse are all under one roof. 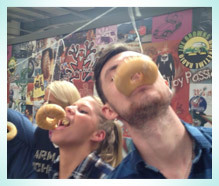 Located in a converted warehouse, our offices are as fun and quirky as the clothes we sell! The creatives. The planners, the analysts and those that make it all happen. When only the best will do. Striving to make sure our products exceed expectations. The number whizzes, the forecasters, the bill payers and the bean counters. Where the magic happens. The creators, the researchers and the tough negotiators. The range advisers, the sales advisers, the jugglers and the relationship builders. The organised crew, managing stock requirements and deliveries for all Joe Browns channels. The operational backbone of the business. Making sure we deliver our promises. The order takers, the problem solvers - always here to help and ensure our customers stay happy. We look for individuals who aren’t afraid to be themselves, stand up for what they believe in and think both commercially and creatively. They are determined, ambitious and strive to be the very best at what they do. Fun, fast paced working environment! Free fruit (or pie!) on Thursdays! We are an exceptional brand and we are looking for someone remarkable to join our Ecommerce team in the role of Lead Web Developer. 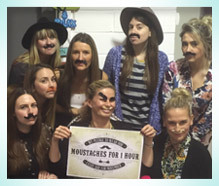 The role will see you working alongside the wider Ecommerce, Marketing and Creative team in maintaining and developing the joebrowns.co.uk website, finding innovative ways to drive engagement and deliver outstanding customer experience. Leading the development of all website enhancements within the Magento platform, optimising the customer experience and driving engagement. Work alongside the Junior Front End Web Developer to deliver timely updates in keeping with the central marketing and promotional calendar. Develop and execute a robust onsite usability testing plan, delivering growth and conversion rate optimisation to the website. Continually test the site and identifying/resolving any technical issues and implementing technical advancements. Work alongside the Head of Ecommerce to develop and manage the UX testing programme, develop incremental enhancements to the website and deliver ongoing growth. 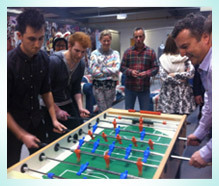 Support the development team in delivering the new Magento interface for the joebrowns.co.uk website. Work with the wider team in determining the ongoing phases for development to ensure continual step-changes in performance. Use Google Analytics to track and understand user interaction, utilise the data in directing change and report against key metrics to the business. Work with external development agencies such as Sanderson, Global-E and Qubit to maximise technological advances and onsite functionality. Support the junior web developer in planning workload, problem solving and testing of new functionality to ensure an aligned development roadmap. Work alongside the IT department to maximise website security and to identify and resolve any potential issues with the web platform. Experience of Magento 2 desirable, but not essential. Good understanding of major operating systems. Ability to utilise relevant IT support systems and be conversant with standard business desktop applications. An enthusiasm for digital and a desire to continually push technology forward. A team player with a positive attitude who is prepared to roll their sleeves up and lead by example. An enthusiasm for digital and a drive to test and learn new integrations. We enjoy and believe in what we do - or we don't do it. We are fair, well-mannered and respectful, never weak. We help each other to succeed - colleagues, partners and customers. We are creative and push boundaries - we don't just accept. We create a positive environment. Don&apos;t forget to attach your CV and Covering Letter! This is a fantastic opportunity to work for a fun and invigorating fashion retail brand that is succeeding at driving significant YOY growth. We are a fun and dynamic brand that likes to re-write the rule book and set our own destiny. This truly remarkable role is perfect for someone looking to enter into the Retail industry within an Ecommerce environment, fully supported by an engaging and talented team. Working alongside the Lead Web Developer, the focus of this role is to develop and maintain the front-end HTML and CSS requirements for the Joebrowns.co.uk website and promotional emails, alongside day to day tasks to continually improve and enhance the Joe Browns website. Helping to develop an effective website that showcases the brand whilst ensuring that sales conversions are optimised and the customer journey is as intuitive as possible across devices and platforms. Managing the day-to-day site updates to support internal and external marketing campaigns. Working closely with the content co-ordinator to keep the website fresh, engaging and seasonally relevant. Working on projects including website enhancements, usability and split A/B testing to continually optimise and move the site forward. Continually monitoring the site and identifying/resolving any technical issues. Working closely with the Email Co-ordinator and Web Designer to deliver promotional emails. Having full responsibility for building HTML emails and delivering targeted content to specific segments. Liaising with the email service provider and utilising online resources to innovate and ensure best practices are adhered to. Support in the ongoing development of a new Ecommerce platform, providing exciting new opportunities for front-end enhancements, international expansion and user segment testing. Knowledge of international web standards and protocols. Basic knowledge of SEO/Site speed/optimisation beneficial. Experience of using Magento, Elucid, Bootstrap, Wordpress, Qubit, Google Analytics, Tag Management software & Bronto advantageous but not essential. Strong attention to detail and highly organised. A passion for front end development. Desire to stay up to date with current and new technologies. Ability to multi-task and manage time effectively. Excellent inter-personal and communication skills. If you are passionate about fashion, motivated and have previous experience within a ladieswear buying function this could be the role for you! We are currently looking to recruit an experienced Ladieswear Buyer to work in both a fast paced and dynamic role with an opportunity to gain excellent exposure within Joe Browns. This role would suit an experienced Ladieswear Buyer who is looking to progress to the next level. Previous experience of working within a fashion buying environment is essential. To establish a product offer that meets our target customer expectations and is in line with our agreed brand direction - delivering the business needs in terms of sale, service, margin and returns. To ensure our knowledge of competitors and market trends is used to define ranges and identify new opportunities for sales growth. Prepare range finalisation in line with range control plans. Oversee the set up of all style details are loaded onto Elucid ensuring 100% accuracy. Place all initial orders in line with forecasts and agreed minimum quantities ensuring delivery dates pre catalogue launch will be achieved. Provide information to creative for catalogue production. Check catalogue layouts/pages ensuring complete accuracy. In depth knowledge of Ladieswear garment manufacture and retail. Knowledge of what makes a product on brand. An in-depth knowledge of the fit and sealing process for garments. In depth knowledge of the planning & trading complexities associated with multi-channel retailing of own branded merchandise. Strong interpersonal skills with the ability to communicate clearly. Strong numerical and analytical skills to optimise trading performance. Able to fully utilise the relevant IT support systems, and to be conversant with standard business desktop applications. The ability to paginate product to maximise sales. Far East Experience and knowledge of the different strengths for each market. This role would suit a team player with a positive attitude who is prepared to roll their sleeves up and lead by example. They enjoy and believe in what they do - or they don't do it. They are fair, well-mannered and respectful, never weak. They help each other to succeed - colleagues, partners and customers. They create a positive environment. If you think that you&apos;re suitable for this great opportunity, please don&apos;t hesitate to get in contact with us by using the link below. To complete the sealing process and inspection of items to maximise sales and minimise returns. To oversee the inspection of goods delivered to Joe Browns to ensure fair and consistent standards are applied in line with business priorities. To spec, fit and seal products in line with critical path dates working across wovens, jersey and knitwear. To add the branding / labelling to each garment in line with agreed brand definitions and wholesale commitments. To sign off inspection of all deliveries and agree and action any rectification work required. Understand the overall reasons for returns and take all actions to minimise return rates where possible. Completion of all tasks to meet critical path deadlines. Success of packaging / labelling to reinforce the brand development. Complete the sealing of all items including first fits, second fits, pre production samples (as required) in line with critical path deadlines - working with the buyer to ensure the products are in line with expectations. Maximising demand whilst minimising returns. Ensure all comments are passed back to suppliers in a timely manner so as to minimise any potential delays in deliveries. Maintain an up to date Critical path for each style. Ensure each garment is labelled with appropriate branding and that the packaging meets the agreed requirements. To sign off inspection of all deliveries received, proactively seek solutions to any rejected deliveries and arrange any rectification work required after gaining approval from the supplier to cover the cost. Keep the buying teams fully informed of all issues. Investigate any product groups or styles where the returns rates are a concern and propose all possible actions to minimise return issues. All above activities to be completed in line with critical path deadlines. All major issues to be advised to the Head of Q.C in a timely manner. All to contribute to weekly departmental meetings in a proactive and informative manner. You are an ambassador for Joe Browns and as such you must act in a professional manner in all dealings with suppliers and or customers. A clothing brand like no other, Joe Browns was established with the aim of offering the UK consumer something truly unique, distinctive and stylish. 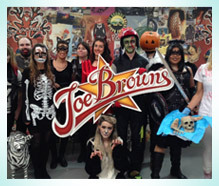 Joe Browns is looking for an individual who isn’t afraid to be themselves, who is customer focused and can think both commercially and creatively. This person should be charismatic, ambitious and strive to be the very best at what they do. Embracing the free spirited nature of the brand, they are able to bring fresh ideas to the table and aren’t afraid of getting stuck in. After 15 very successful years as a mail order and web business, this is the brands first flagship store. This is a high profile opportunity which would suit an ambitious sales person looking for an exciting challenge where they can really make a difference. Actively seek out customers in store, welcome them and answer their queries. Follow and achieve store sales targets. 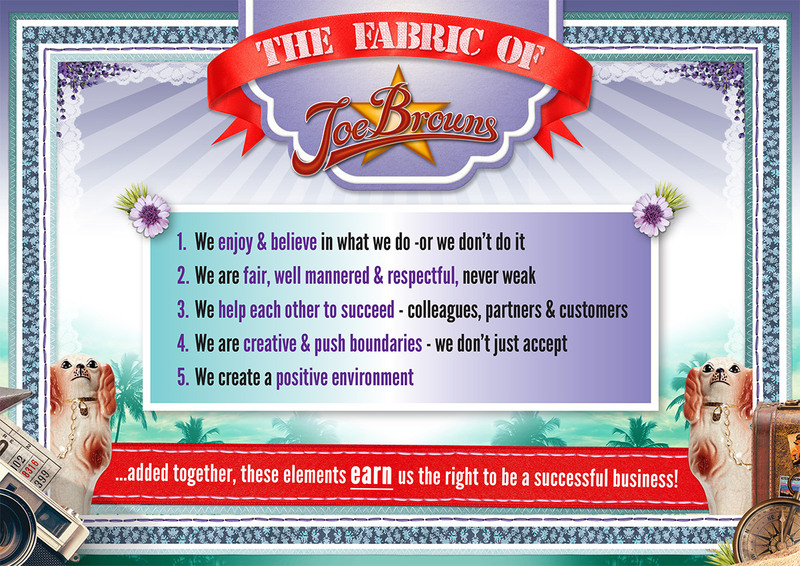 Be knowledgeable on the Joe Browns Brand and the products offered. Be able to discuss available options and alternatives. Maintain clean, commercial and presentable displays. Comply with stock control procedures, handle deliveries, pricing and storing. Manning all areas of the shopfloor including fitting rooms and tills. Assisting with and generating online orders. A strong sales person who will go 'the extra mile'. Creative people who are full of ideas. Proven track record of succeeding sales targets. Experience in Clothing Retail would be desirable but not necessary. Energetic and outgoing personality with customer service focus. Honest, reliable and a true team player. Want to leave your details for future opportunities? We’re always on the lookout for talented individuals, so why not send us your CV and we’ll keep you in mind for any future vacancies. Simply choose the department you’re interested in and upload your CV.